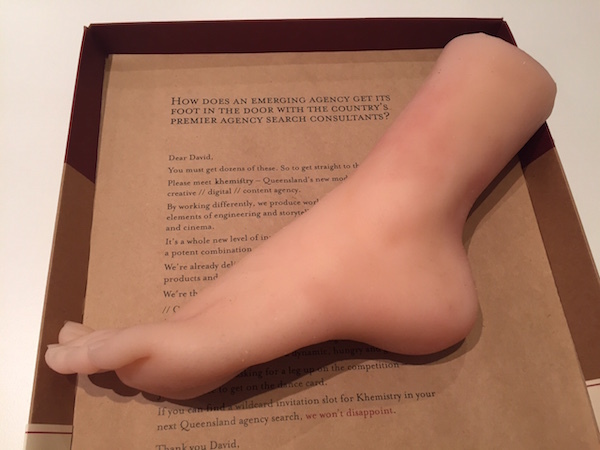 This week at the TrinityP3 offices we were greeted by a direct mail B2B promotional item from an agency wanting to “get its foot in the door with the country’s premier agency search consultancy”. While the copy was certainly flattering the dismembered silicone foot, with toenails, was disturbing and disconcerting for everyone that walked into the office. What was equally disconcerting was the fact that this emerging Queensland agency had not heard of the TrinityP3 Agency Register. The Agency Register is a free and confidential on-line register where agencies of all types can register for new business opportunities. Plus the agency gets to keep their record up to date, so there is no chance of missing out on a new business opportunity just because the consultant did not have the latest news or information at hand. Also it is much more cost effective to update the details than going to the trouble of either coming up with an effective direct mail piece like this or sending us detailed and expensive credentials documents, which can be out of date even before you get to bind them. The Agency Register was recently updated to include an extended range of information required to help us match the right agencies for the specific clients needs. We have current contact details, key personnel, agency size, offices, networks, ownership and revenue, core competencies, clients, awards, industry associations and examples of recent work. Plus we update this with regular meetings with agencies where the TrinityP3 consultants can assess culture, momentum and chemistry. You can read all about the update and how to register here. So what kinds of agencies can register on the TrinityP3 Agency Register? Well we have more than 3,000 agencies currently registered from all over the world. We are always looking for exactly the right fit agency. That can be large or small or in-between. It can be independent or networked or aligned. It could be in Abu Dhabi, Bangkok or Canberra. It could be Seoul, Shanghai or Sydney. It could be strategically driven, or creatively famous, or fast or low cost or some combination of all. It could be a specialist or a generalist. It may be a team of specialists or a specialist team. 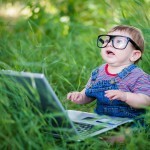 Data Analytics, Connection Planning, Custom Publishing, Email Marketing, Experiential Marketing, Event Marketing, Mobile Marketing & Advertising, Point of Sale, Shopper Marketing, Social Marketing, Sports Marketing, Sponsorship, Telemarketing, Brand research, market Research, Concept Testing and Brand Tracking. Or it could be some weird and wonderful combination of any of the above. And we are sure there is even an opportunity for Khemistry. Not because they sent us a severed foot in the post. But because they now keep us up to date with what they have to offer on the TrinityP3 Agency Register.